On 3 February 2018, the World Cup tournament of Junior Fencers took place in Bratislava, welcoming 188 female juniors from 30 countries. 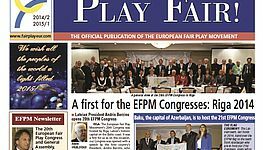 The Fair Play Club of the SOC was also present at this significant event as long-standing partner of the Slovak Fencing Federation in order to spread the principles of humanity and fairness. 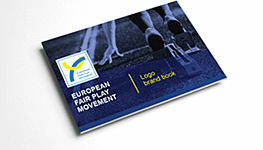 One of the manifestations of this cooperation is the use of Fair Play cards at fencing events and the subsequent announcement of Fair Play Awards based on such useage. 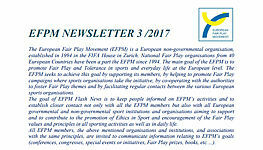 At this event, the Fair Play card could be granted not only to a sportswoman behaving honestly in critical situations during the sports competition, but also to trainers, parents, coaches or fans. 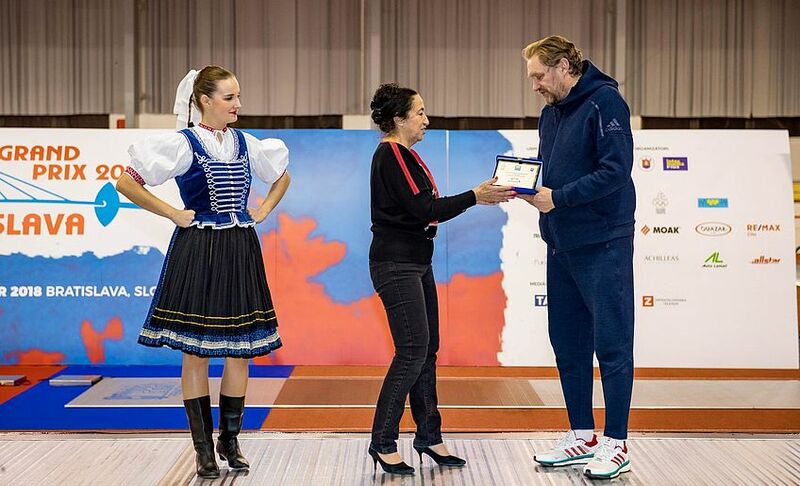 In this spirit, the plaque of the Fair Play Club of the Slovak Olympic Committee was awarded to the Hungarian fencer Nelli Ladányi from the Sports Centre Szolnok, who corrected the verdict of the referee in an important close match to her disadvantage. After the end of combats, the referees could hold on to the memories of a well-organised event and also to Fair Play cards, specifically made for this event, which they can contribute to spreading the initiative of the Fair Play Club and the Slovak Fencing Federation in their countries with. The award handed over by Katarina Raczova of the Fair Play Club of SOC to Attila Plásztán, Nelli Ladányi’s coach on her behalf.